Ben McKenzie was born on the 12th September 1978, in Austin, Texas USA, of Dutch-Jewish, English, and Scottish descent. 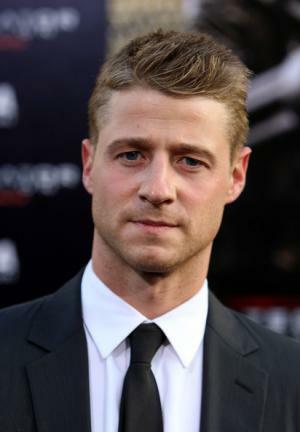 He is an actor, probably best known for his portrayals of Ryan Atwood in the TV series “The O.C.” (2003-2007), Ben Sherman in “Southland” (2009-2013), and currently the detective James Gordon in “Gotham” (2014- ). McKenzie has also appeared in several movies such as “Junebug” (2005) and “88 Minutes” (2007) – the roles in TV series’ during the 2000’s increased his net worth considerably. Ben has been an active member of the entertainment industry since 2002. Have you ever wondered how rich Ben McKenzie is, as of mid-2016? According to authoritative sources, it has been estimated that McKenzie’s net worth is as high as $13 million, which has been mostly acquired by playing leading roles in a few TV series, but taking parts in several movies has also added to his net worth. Benjamin McKenzie Schenkkan is one of the three sons of Pieter Meade “Pete” Schenkkan, an attorney, and Frances Victory Schenkkan, a poet. McKenzie went to St. Andrew’s Episcopal School, middle school where he was friends with the future NFL star Drew Brees. Ben later attended Austin High School where he played American Football as a defensive back and wide receiver. He went to the University of Virginia from 1997 to 2001 and majored in economics and foreign affairs. McKenzie’s career started in 2002 when he appeared in one episode of the TV series “The District”, and a year later he appeared in “JAG”. In 2003, McKenzie’s became famous for the role of Ryan Atwood in the FOX series “The O.C.” – he was a huge star with teenagers, and this breakthrough role made him well- recognized. McKenzie dramatically improved his net worth thanks to the series, as he earned between $15,000 and $25,000 per episode, appearing in 92 episodes from 2003 to 2007. He had his debut on the big screen in 2005, in Phil Morrison’s comedy-drama “Junebug”, starring Amy Adams and Embeth Davidtz. In 2007, McKenzie was cast in Jon Avnet’s thriller “88 Minutes” starring Al Pacino, and in Dalton Trumbo’s anti-war drama “Johnny Got His Gun” in 2008. He also starred in the big role as Ben Sherman in TV series “Southland” (2009-2013), appearing in 42 episodes. McKenzie later appeared in Steven Bernstein’s drama “Decoding Annie Parker” (2013), starring Samantha Morton, Helen Hunt, and Aaron Paul, then in Denis Hennelly’s “Goodbye World” (2013), and his most recent film was “Some Kind of Beautiful” in 2014, starring Pierce Brosnan, Jessica Alba, and Salma Hayek. McKenzie is currently portraying the detective James Gordon in a TV series “Gotham”; the show was launched in 2014. Thanks to his talents, Ben received several prestigious nominations and awards, including the nomination for Teen Choice Award in categoryChoice Breakout TV Star – Male for his work in the TV series “The O.C”, and he also won the Bravo Otto Germany in the categoryBest Male TV Star, among many other awards. Regarding his personal life, Ben McKenzie is in a relationship with girlfriend Morena Baccarin, and in 2015 announced thatshe was pregnant with Ben’s first child and planning to marry him. Their daughter was born in March 2016. McKenzie was a speaker at the Democratic National Convention in July 2004. The O.C. (2003) Between $15,000 and $25,000 per-episode. 1 [When a Newsweek interviewer asked McKenzie if he thinks The OC should end with Ryan and Marissa getting married] "I've always pushed for the big marriage that the whole entire audience has always seen coming. Ryan and Seth walk down the aisle hand in hand." 2 "I don't like the whole trend of people in the business treating marriage like entertainment. It's either for publicity value or because they're bored. Because they haven't done a movie in a few months, they get married instead." - On Young Hollywood weddings. 3 This whole scene is very strange. It's a very strange town and a very strange business, and it has a tendency to creep me out. Ryan's relationship with Orange County is very similar to my relationship with L.A.: fabulous wealth, and odd people behaving oddly, and I'm definitely a bit overwhelmed. I hope I'm hiding it well. 4 I had one year of struggle. My parents were always there, but I didn't want to rely on them. Now it's moving pretty fast. I'm not rich, but obviously this is fantastic. All I know to do with money is put it in a shoe box anyway. 5 Sometimes those fears (about fame) creep into the back of your head, but then you slap yourself and think, 'Oh, woe is me! People actually like me.' What a silly thing to worry about. This is a huge opportunity, and I'm excited. 6 "I'm somewhat puzzled about that myself. I did theater in college, so I had already started down that path, but I didn't want to major in theater at U. Va. I didn't really know what I wanted to do, so I thought I'd get a good education and do some acting at the same time" Explaining why he majored in Economics and Foreign Affairs and not theater. 7 "It's against type in the sense of my background, but it's with type in the sense that I am a loner who's new to this business and skeptical about a lot of it." When discussing differences between Ryan Atwood and himself. 8 It's a Fox thing, the bad-boy image. They're trying to type me out. There are worse things in life, you know. I'm just really excited about the opportunity. 9 "I've always been kind of a loner. Continue to be. So, in that sense, Ryan and I are the same. I played football in Texas, but I didn't really hang out with the jocks. I did honors courses, but I didn't hang out with those kids, either. I sort of had my own group I hung with occasionally, but I've always been kind of by myself." - When asked about his high school experience. 1 Engaged to actress Morena Baccarin, November 29. 2016. 2 Became the father of a baby girl Frances Laiz Setta Schenkkan on March 2, 2016. Baby's mother is fiancee Morena Baccarin. Frances is his mother's name, Setta is from Morena's family, & Schenkkan is his real last name. 3 In September 2015, girlfriend Morena Baccarin announced she was pregnant with Ben's first child and planning to marry him. 4 He is the only actor to have played both Bruce Wayne/Batman and his ally Commissioner James ''Jim'' Gordon. 5 Ben's paternal grandfather, Robert Frederic Schenkkan, was from a Dutch Jewish family, and had both Ashkenazi and Sephardi ancestry. Ben's patrilineal ancestry can be traced back to Ben's great-great-great-great-grandfather, Abraham Juda Schenkkan Levie, who was born, c. 1781, in Amsterdam. Ben's great-great-aunt, Martha van der Zijl, died in Auschwitz in 1943; Martha was the sister of Ben's paternal great-grandmother, Josephine van der Zijl. From Ben's three other grandparents, his ancestry is English, with a smaller amount of Scottish. 6 Best friends with Paul Wesley. 7 Played football with (quarterback of the New Orleans Saints) Drew Brees at Austin High School and then against Drew Brees when Drew transferred to a rival school. Is now a Saints fan. 8 One of his grandfathers, Robert F. ("Bob") Schenkkan, was an early proponent of both PBS and NPR. In recognition of his work, Austin, Texas' public radio and television stations KUT-FM and KLRU-TV hosted a 90th birthday celebration for him in March 2007, at which McKenzie and many of Schenkkan's other grandchildren spoke. 9 Was voted one of InStyle's "10 Hottest Bachelors Of Summer" in July 2005, placing at number 10. 10 Was a speaker at the Democratic National Convention on July 27, 2004. 12 He graduated from the same high school in Austin that the Bush twins (Jenna Bush and Barbara Bush) graduated from. He was a senior the year they were freshmen. 13 Mother: Frances Schenkkan will begin the master's program in creative writing at the University of Texas in the fall. She's been a newspaper reporter and editor, and in the 1980s she served on the Austin Planning Commission and the board of the Austin Child Guidance Center. She is a recipient of the Adele Steiner Burleson prize in poetry at the university. She and husband Pieter have three sons, Ben, Nate, and Zack. 14 While in New York he waited tables to help support himself and shared a bunk bed in a cramped apartment in the city. 16 He recently moved into a new apartment in Santa Monica and bought a sleek new Infiniti G35, which he concedes he spends more on than housing. 18 Son of Austin attorney Pieter Schenkkan and poet-writer Mary Frances Victory. 19 He followed his father and grandfather to the University of Virginia, where he graduated in 2001 with a degree in economics and foreign relations. 20 His paternal grandparents both did some acting when they were young. His 22-year-old brother Nate is a Yale graduate working in avant-garde theater in New York. Younger brother Zack, 19, is attending Pomona College, a half-hour away from Los Angeles, and still pondering his future.